Paperback, 8.25 x 10.25 in. / 104 pgs / 68 color. Edited by Rebecca Krämer. Text by Jörg Daur, Peter Forster, Rebecca Krämer, Roman Zieglgänsberger. 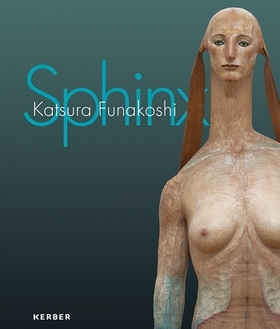 For his sculptures, Japanese artist Katsura Funakoshi (born 1951) carves torsos out of fragrant camphor wood, transferring the medieval art of woodcutting into a modern format. This catalogue focuses on his complex series A Tale of the Sphinx, consisting of several busts and selected drawings. FORMAT: Pbk, 8.25 x 10.25 in. / 104 pgs / 68 color.